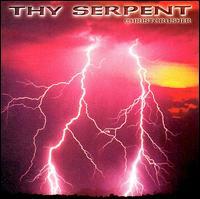 Thy Serpent started as Sami Tenetz’s one-man project back in 1993. During these first years Sami made two demos, "Frozen Memory" in 1994 and "Into Everlasting Fire" in 1995. With the help of the second demo, Thy Serpent was signed to the Finnish record company Spinefarm Records. After the deal was signed, Sami began to find suitable musicians to fulfill the lineup. For the recordings of their first album, the lineup consisted of Sami Tenetz (guitar), Luopio (bass), Azhemin (synth & vocals) and Agathon (drums). 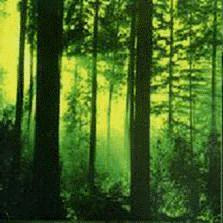 "Forests of Witchery" was then recorded during the summer of 1996 at Tico-Tico Studios. 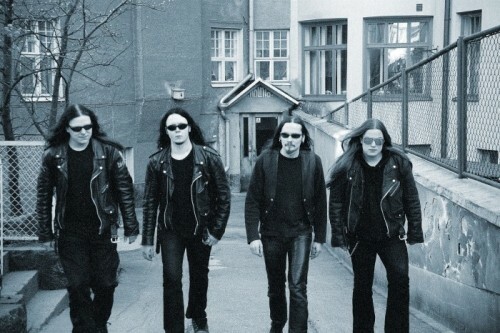 During the same studio session, the band also did some re-recordings of old demo songs, which were later released as the "Lords of Twilight" MCD in 1997. A year after "Lords of Twilight" was released, Thy Serpent decided once again to use the Tico-Tico Studio to record a new album, later named as "Christcrusher". At that time, Luopio wasn’t a part of Thy Serpent anymore due to his decision to end his involvement with the metal-scene in the end of 1997, so Azhemin had to take the bass guitar for himself..
A while after those gigs Thy Serpent decided to take in some fresh air. The drummer was changed, and a second guitarist was taken in. The new guys also have other projects going on: the new drummer Teemu Laitinen also plays in the melodic death metal band Throne of Chaos, and guitarist Tomi Ullgren is also taking place in Rapture.